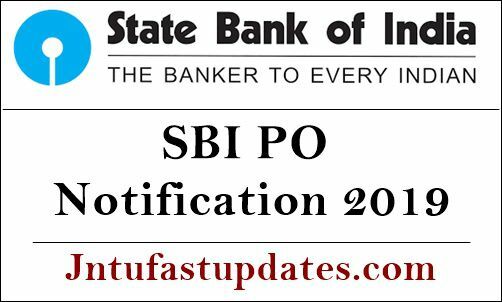 SBI PO Notification 2019 Application Form: State Bank of India (SBI) released the official notification for 2000 Probability Officer (PO) posts. The SBI PO Notification has been released on 1st April and the application process will be starting from 2nd April. Interested and eligible candidates can apply for the SBI PO Posts till 22nd April 2019. Candidates waiting for SBI PO Notification 2019 can check more details from the official notification PDF file to check all the details. Interested aspirants can download the official notification and fill the applications through the SBI website, sbi.co.in. State Bank of India releases various job notifications every year. The SBI has recently come up with the notification for 2000 Probability Officer Posts. Aspirants keen to check more details such as eligibility criteria, application process, selection process, and other details from the official notification. Interested and eligible candidates can check the details and apply for the SBI PO posts during the application dates. The selection of applicants will be done through the written test (preliminary examination + mains examination), and interview rounds. Interested aspirants can go through further details of SBI PO Notification 2019 from the following article. Applicants must have a graduate degree in any discipline from the recognized college/university. Applicant’s age limit must be in between 21 Years to 30 Years as on 01.04.2019. As per the notification, the applicants must have born between 02.04.1989 and 01.04.1998 (both dates inclusive). Age relaxation for reservation category candidates will be applicable as per the norms. For general candidates, the permissible number of chances is 4. For general (PWD), OBC, and OBC (PWD) candidates, the permissible number of chances is 7. For all other categories, there is no limit to the number of attempts. The candidates will have to pay a fee of Rs 750 (for general category and others) and Rs 125 for reserved category (SC/ST/PWD). Interested and eligible candidates can apply online @ sbi.co.in from 2nd April to 22nd April 2019. Initially, visit the SBI official portal, sbi.co.in. On the homepage, the notification link will be displayed. Click on the notification and go through all the details. Then, proceed to apply online. Aspirants will be guided step by step while filling up the application form. After successful application, take a printout of the confirmation for further reference.